Would You Like to Save These Results? Email the results to yourself (or to anyone you would like to share these numbers with). The Mini Golf Creations revenue calculator allows you to estimate profits from your mini golf course. Simply enter your proposed figures and then click the ‘Get Result’ button. You can adjust and re-enter figures multiple times to optimise your mini golf revenue. 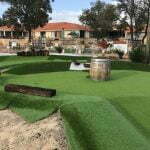 For example you may find that you need to increase your average price per round, or the number of hours or days you are open, to achieve your goal for miniature golf profitability. Once you have finished, you can email the results to yourself by entering your details and clicking the ‘Send Result’ button. Average Price Per Roundthis is the average price you will charge customers to play a round of mini golf. So, for example, if you charge $20 for adults and $10 for children/students/pensioners, your average price per round will be $15. Maximum Rounds Per Hourthis is the number of players that can use your mini golf course each hour. The figure will depend on things like the size of your course. For example, you may decide that having any more than 30 players on your course at the one time will compromise safety or affect the playing experience. In this case your maximum rounds per hour would be 30. Capacity Percentagethis is an estimate of how busy or ‘full’ you expect your mini golf course to be. So, for example, you may estimate that overall your golf course will have an average capacity of 50% patronage. This can include days where you are, say, 100% full and others where you are only 20% full. Number of Hours Per Day what are your planned opening times? Enter how many hours your course will be open each day. And don’t forget to include nighttime sessions if that is part of your plan. Number of Days Per Week how many days will your mini golf course be open? 7 days per week? 5 days per week? Enter this figure here. 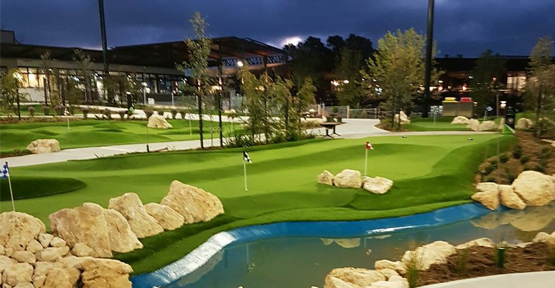 With the right design and construction, and a solid business plan, a mini golf course can be a very lucrative investment. Many courses pay for themselves within 1-3 years. 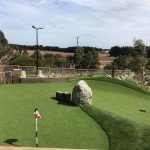 Mini golf profits are widely recognised as being more lucrative than other similar attractions, such as go-cart racing, paintball games, and rock climbing. Why? Well, firstly, mini golf courses have very broad appeal. People of all ages and with varying abilities can enjoy a round of mini golf, whereas the other attractions have more limited audiences. 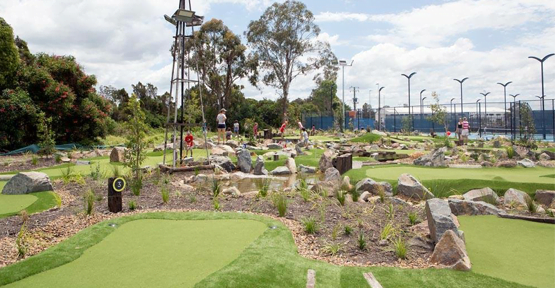 And, secondly, mini golf courses never go out of style—they are always popular. If you’d like to learn more about mini golf profitability, contact us at Mini Golf Creations.